What is so amazing about Grace? : A good kind of pain? A good kind of pain? 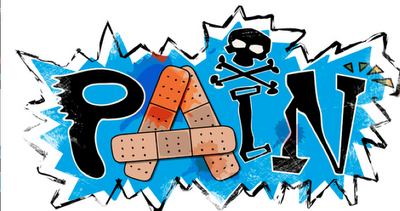 The pharmaceutical industry has done a great job in helping us mask our pain. All the pills that we so often pop don't really cure our problem, They just manage our pain. To a manageable level and if not we take something a bit stronger. But he knew on this occasion pain was going to have to be suffered to effect healing. He didn't want to cause pain but facing truth and the resulting pain was the only way to growth. I heard some words recently that caused me a huge amount of pain. But I need to feel the pain not mask it because in the words of Paul this Distress drives me to God. It turns me around. It gets me back in the way of salvation. I will never regret that kind of pain.